Recently announced are the latest collection of designer sofa names and model numbers for the 2017/2018 season collection. Gone are some of the models from last year and replaced by some very futuristic and different designs along with quintessential Natuzzi favourites. 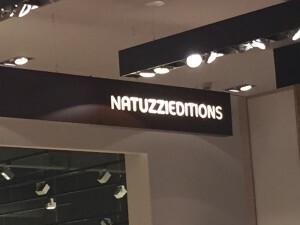 Furnimax is the U.K.’s largest Natuzzi Editions Gallery and outlet sofa warehouse store, set over 15,000 ft.² and two floors of just designer sofas like Natuzzi. Here is the up-to-date and comprehensive list of model names and Numbers. Bebop, Borghese, Brio, Cambre, Capriccio, Clark, Clivo, Cult. Dandy, Déjà vu, Dado, Diesis, Deja Vu, Domino, Duca, Don Giovani, Dorian. Elios, Enea, Erasmo, Ergo, Etoile. La scala, Lilium, Long Beach. Philio, Polizano, Post, Plaza, Preludio. Most of these models are on display in the U.K.’s premier Natuzzi Editions Gallery and Sofa mega store at Blackburn Road Accrington BB50AE. Customers can learn about the many different types of leathers and fabrics available with comprehensive swatch selection and leather / product educational walls and displays within the gallery.